Murdoch University Certificate Attestation – Murdoch University is an Australian based University, with Campus in Dubai. We at attestation on time can guide you in attesting your certificates which was issued from Murdoch University. Many students have used Attestation On Time(www.attestationontime.com) for attesting their certificates. Murdoch University issued certificate both undergraduate program and postgraduate programs can be attested. Why to Attest Murdoch University Certificates for UAE? All Education certificates has to be attested for the below reasons. – When applying for higher education. – As a proof that the certificate is authentic. – Notary Public from Australia. – Department of Foreign Affairs from Australia. – UAE Embassy from Australia. – Ministry of Foreign Affairs from UAE. How long will it take for Attesting my Murdoch University Certificate for use in UAE? Attestation On Time is offering two types of services. It is important to hand over the original documents to an unknown company for attestation. AOT (Attestation On Time) licensed company in UAE can help you in completing all type of attestation. 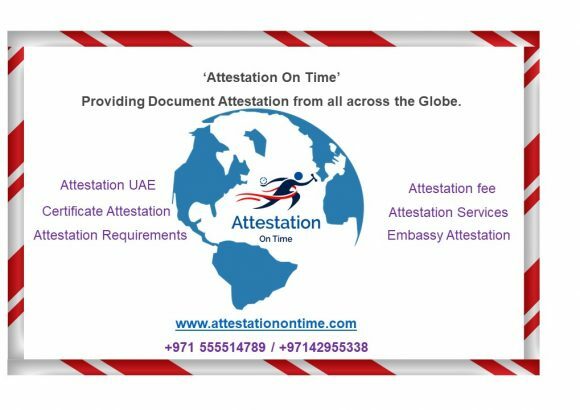 More details related to certificate attestation visit www.attestationontime.com or reach attestation experts at +971555514789.